Triguard: is a special three layer material intended for light to medium weather or indoor use. Perfect for protection from dust and bird waste. Not suggested for harsh weather conditions. Triguard is made from 3 layers of fabric that stand up to sunlight and light storms. This cover is fit for light weather and suitable for vehicles in long term storage. 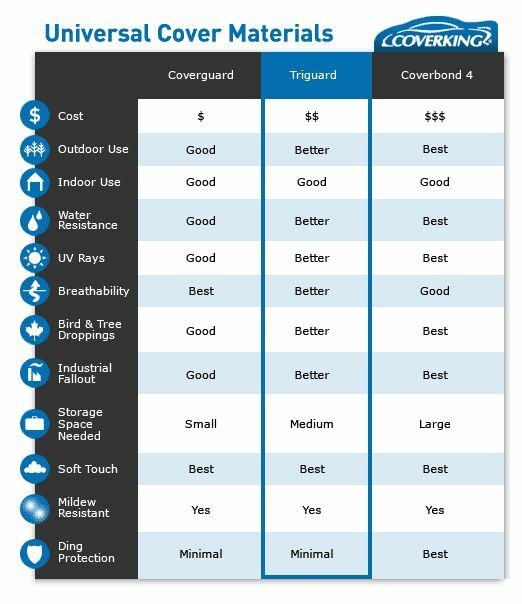 Coverking Triguard Universal Vehicle Covers are sized to fit your vehicle and helps protect your car from the elements. Available only in gray, the cover repels outside moisture while allowing moisture to escape from within, reducing mold and mildew growth. This lightweight cover features UV-treated polypropylene and three-layer construction with reinforced double stitched seams and non-scratch security grommets. This allows you to tie down or lock the cover in place without worrying about marring your car’s finish. 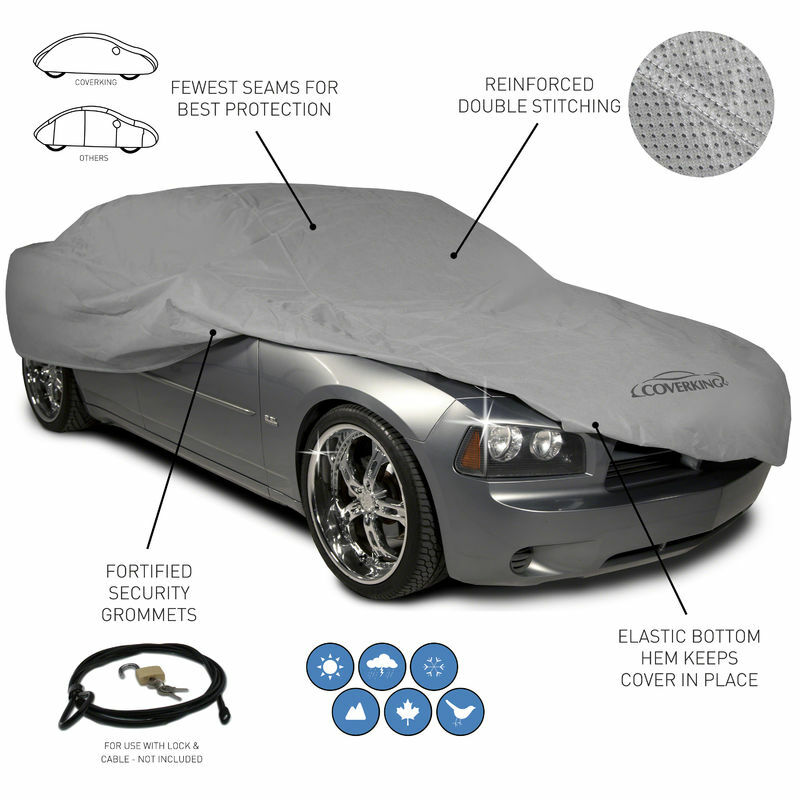 Triguard Universal Car Covers feature elasticized bottom hems that ensure your car is covered snugly to keep out dust and moisture.